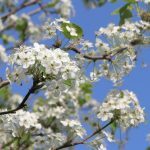 These trees are called callery pear, also known as Bradford pear and Cleveland pear. They are a popular lawn tree because they grow quickly and have pretty white flowers in early spring. 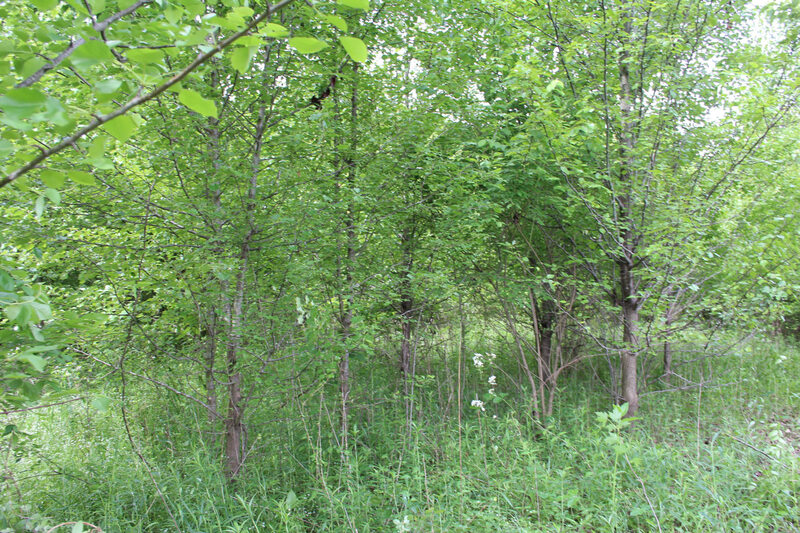 The problem is that these trees are not native and they are very invasive. They spread everywhere and significantly reduce habitat quality. Visit a Metro Park and take some time to notice the variety and diversity in the habitats. Each park is a little different but we have forests, forest edges, meadows, prairies and many different aquatic habitats. This diversity is necessary in order for an ecosystem to be healthy and resilient and to support a wide range of animals. The animals that we all love to see at Metro Parks depend on these diverse, high-quality habitats. Callery pear seeds are spread by birds. They grow so quickly that they out-compete our native trees. This leads to a lack of variety in food and shelter options for wildlife. Imagine if all the rooms in your home were exactly the same, only living rooms or only dining rooms, for example. Then imagine if you only had one thing to eat over and over. You and your family would not be able to thrive in this situation. Once that one food item was out of season you wouldn’t even be able to survive. 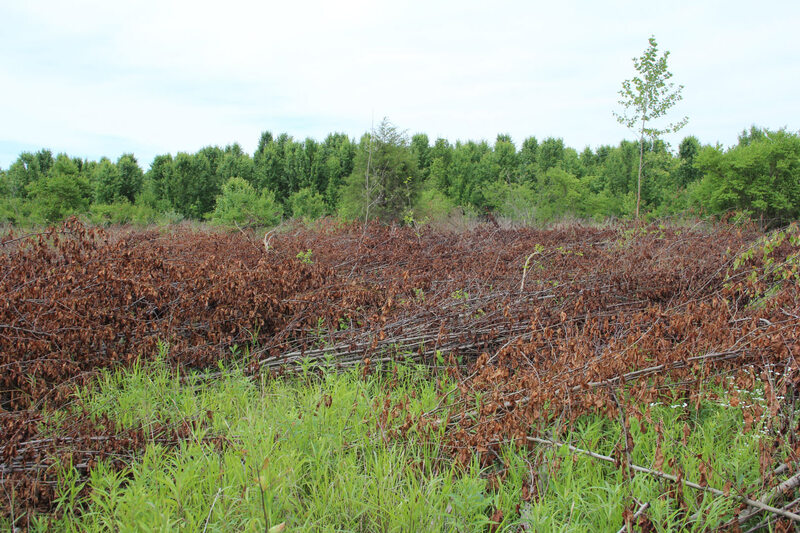 This is what it is like for our native wildlife when invasive plants take over. 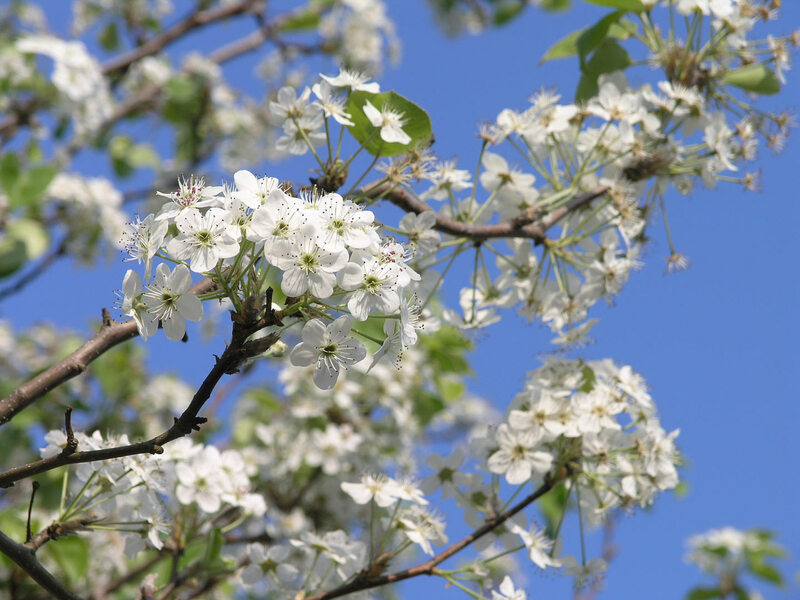 Callery Pear is just one of the many invasive species we try to remove from Metro Parks. Another, garlic mustard, can actually release chemicals in the ground which prevent native plant seeds from germinating. Garlic mustard is fairly easy to pull up. Naturalists, volunteers, and even program participants often get together for garlic mustard pulls in the spring. Incidentally, young garlic mustard can be used as a garlic replacement in a variety of recipes such as pesto and hummus! The plant is a biennial, meaning it takes two years for the plant to mature and produce seeds. 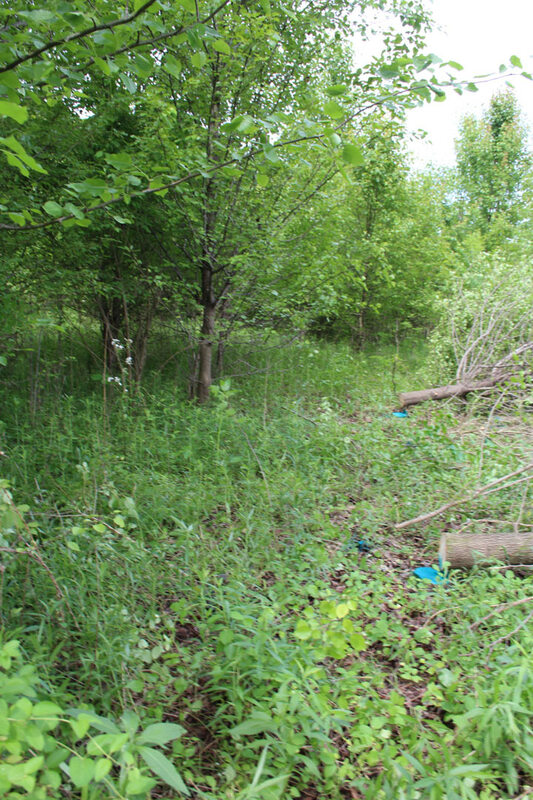 Two years of removal in a given area, however, can lead to an exciting return of native wildflowers. 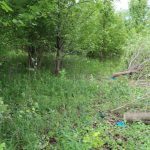 Some invasive plants can be more difficult to remove and require cutting and, sometimes, chemical applications. 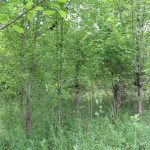 Other invasive plants are well loved and many people may not even realize they are invasive. Examples include honeysuckle and multi-flora rose. They may smell nice but the quality of habitat they offer pales in comparison to native plants. In the past several years invasive poison hemlock has started popping up all over Central Ohio. This plant can cause severe reactions and illness. You can help provide wildlife habitat and prevent the spread of invasive species with what you choose to plant at home. By choosing plants that are non-invasive you won’t be contributing to the spread of unwanted plants. 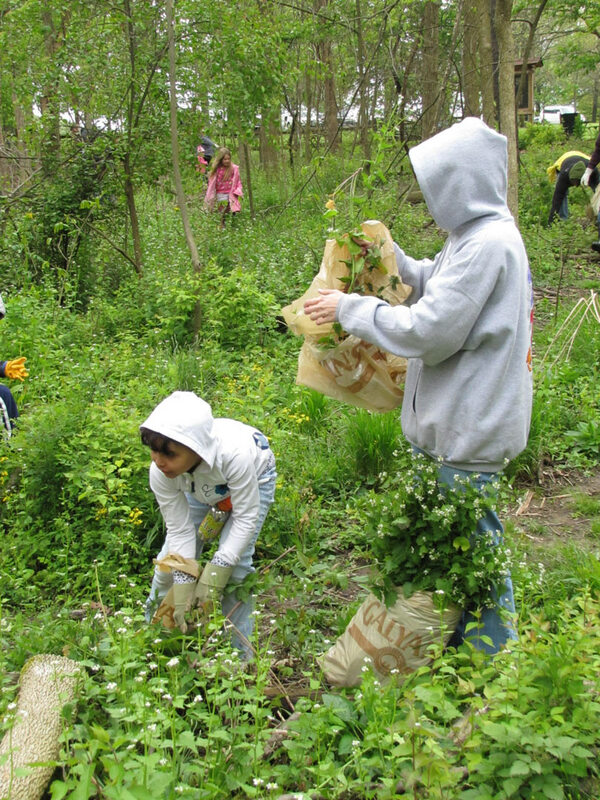 Even better, if you choose native plants, you can help provide important habitat for wildlife. You may be tempted to think your lawn is too small to make a difference but I can tell you from experience that even a small patch of valuable native plants will increase the insect diversity in your lawn. This means you are providing bird food and you don’t even have to go to the store or keep a feeder full. In the long run you can also lighten your workload by using native plants. Once they are established they are generally much easier to maintain than non-native plants. Who knows, maybe you will inspire your neighbors and, over time, your neighborhood could become a backyard paradise for people and wildlife. If you are interested in learning more about plant communities and habitats visit your Metro Parks. Tree and wildflower programs are offered through most of the year. 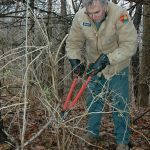 If you want to try to remove invasive plants, or grow native plants on your property, there are several resources available to you. Remember, your lawn can make a difference. I have experienced a huge increase in fireflies in my yard after just a few years of nurturing native plants in a small section. 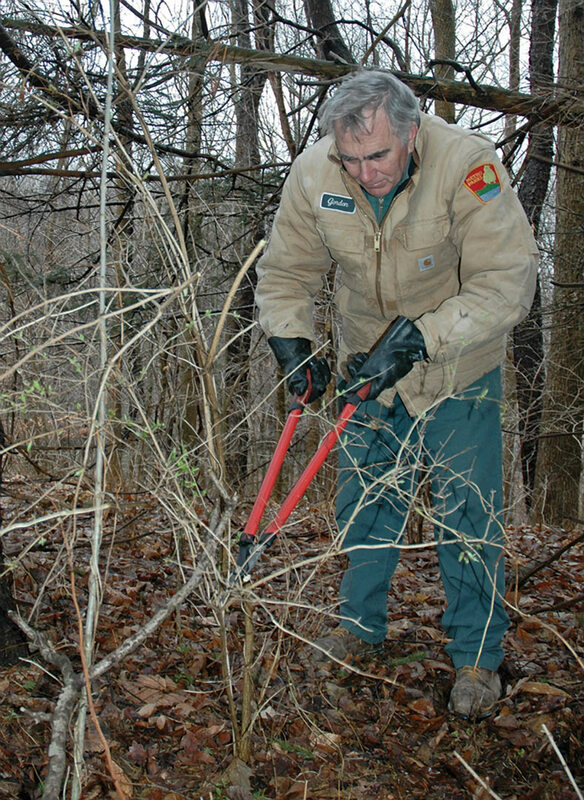 A resource management staffer cuts invasive honeysuckle at Sharon Woods. Franklin Soil and Water Conservation District offers educational workshops and even provides native plants. 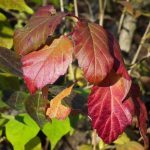 Wild Ones is a national not-for-profit that also provides education and is a good source for native plants. 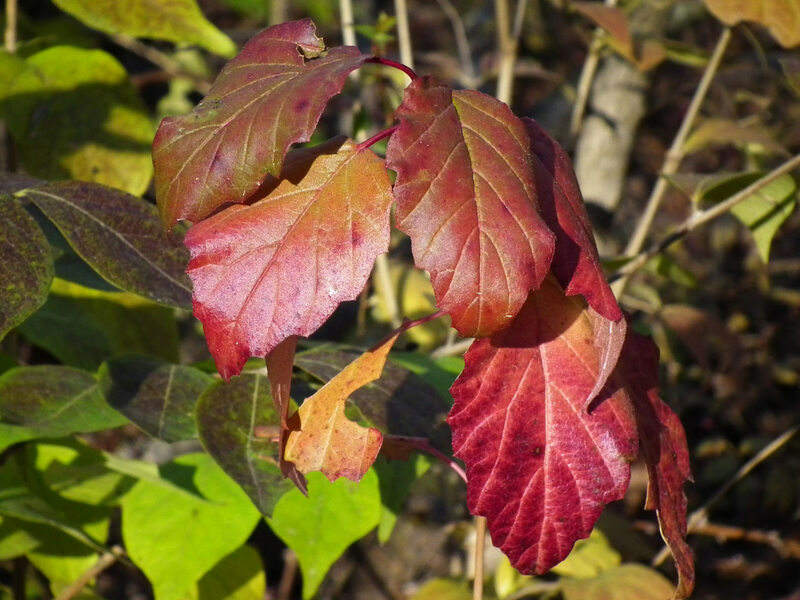 The Ohio Invasive Plants Council has great information on invasive plants.